Specialist gas membranes, gas barriers & gas venting systems offered by Butek Landline can be designed, supplied & installed by our skilled technicians. The materials we use are specifically designed for the protection of buildings against the ingress of methane, radon & carbon dioxide gases and other VOC’s that might be present. This is especially relevant where buildings are scheduled to be constructed on Brownfield sites, or on land being earmarked for urban redevelopment, or for sites that have previously been used for commercial or industrial purposes. Butek Landline’s quality assured products and services are backed by extensive technical expertise and unrivalled customer service. Our installation teams operate throughout the UK and Ireland. Specifications and Chemical resistance charts for our specialist gas membranes can be accessed from the link at the top of the page or can be opened in a new window by clicking here. Landflex ZR60 is a high performance reinforced aluminium foil polyethylene composite, certified by the British Board of Agrément under certificate number 18/5588. It is most commonly used in domestic housing and high risk ground gas mitigation. 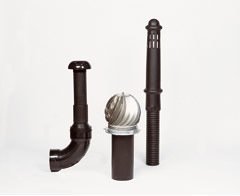 Landflex PEHD is a specially formulated HDPE often used in conjunction with gas venting systems. 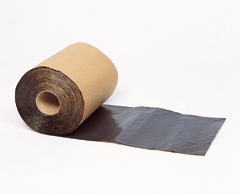 Landflex PELL is a high flexibility yet robust LLDPE used frequently for prefabricated gas membrane panel supply. 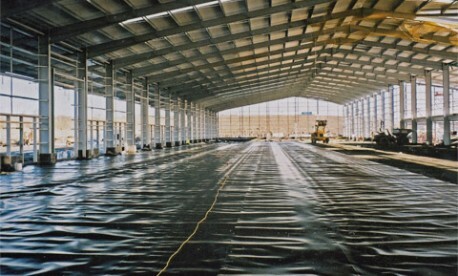 Landflex 90EE is a textured, reinforced, highly flexible hydrocarbon gas membrane, used as protection against the highest levels of site hydrocarbon and VOC contamination and is suitable for prefabrication into panels up to 500m². 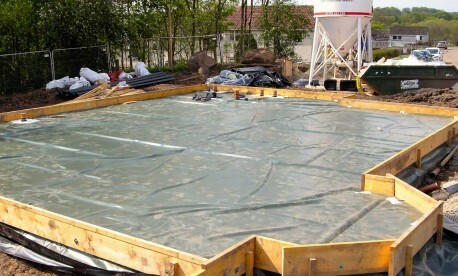 Landflex HC is a multi layer polyethylene gas and hydrocarbon protection membrane that complies with the latest codes of practise as published by BRE, CIRIA (C748) and BSI (BS 8485:2015). It is highly suited for ground gas / hydrocarbon protection for NHBC Green, Amber 1, Amber 2 and Red site characterisations. 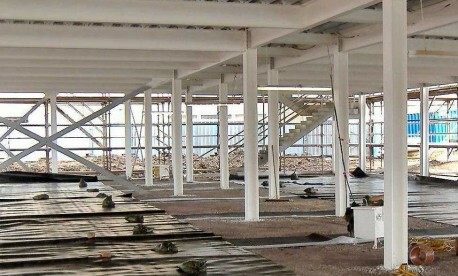 The company can supply pre-welded Landflex panels or trays to housebuilders and developers. Panels are pre-welded in factory controlled conditions and are sized and shaped to suit individual house plots. 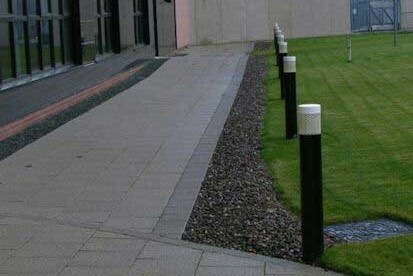 This removes the necessity for on-site jointing of rolls and enables rapid installation in all weather conditions. Housing developers requiring panels of varying sizes at different times can place orders for a complete phase development at the outset, thus achieving best cost, and can then call off individually sized panels to suit the build programme. The Landflex PEHD gas membrane is available in a gauge range of 0.5 – 2.0mm and is manufactured in 6m widths for rapid installation. In gauges of 1.0mm and above, the material is robust enough not to require the use of protection boards or blinding layers. It is also sufficiently strong to allow the planned direct tracking of concrete trucks without damage, enabling faster concrete pours. 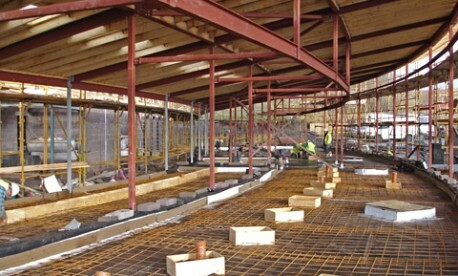 This, coupled with Butek Landline’s ability to install large welded areas quickly and to perform efficient detail work, makes the system ideally suitable for use by laser screeding companies. 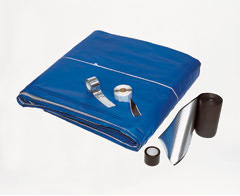 We offer a fully warranted design service for the gas membrane and gas venting package. 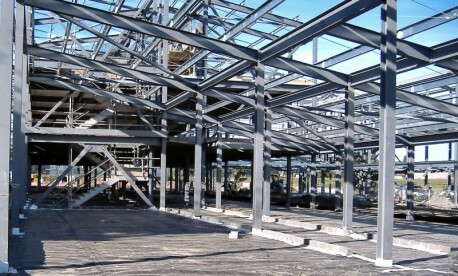 The designs take full account of site investigation reports and are backed by professional indemnity insurance. 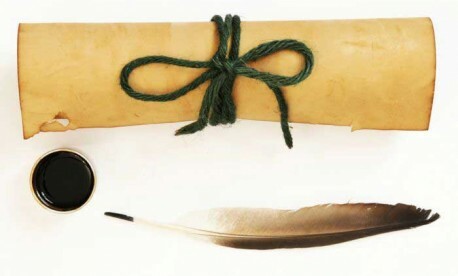 The systems additionally comply with BRE documents 211, 212, 414; CIRIA report 665; BS8485:2015; Ground Gas Handbook. Tamesis THP, Beckton & Crossness – Laing O’ Rourke. HMP Grampian, Aberdeen – Carillion. 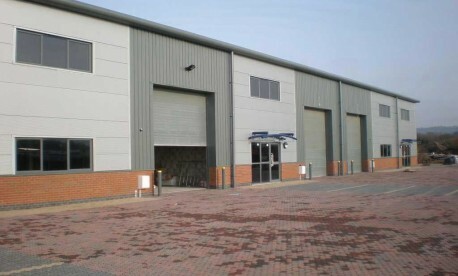 Little Paxton, St Neots – HG Construction. 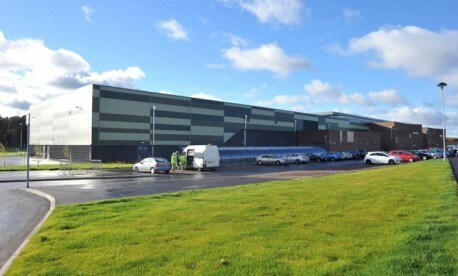 Prime Four Business Park, Kingswells, Aberdeen – Sir Robert McAlpine. 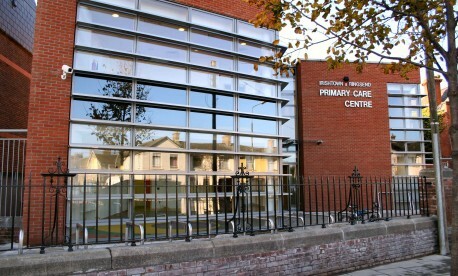 The company regularly assists in overcoming problems relating to methods of construction and requirements for building control and is frequently called in at short notice to provide fast-track solutions for retrofit situations where the use of a gas barrier membrane or a gas venting system had not been considered until after building work commenced. 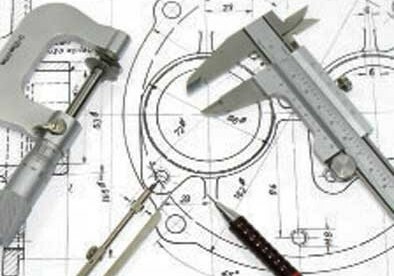 Butek Landline provides full methane gas venting design services including provision of design certificate, drawings and calculations, PI insurance and warranty. The company has in-house CAD facilities and is used to working to tight deadlines for planning, building control and construction purposes. Butek Landline designs, manufactures and stocks its own ZR range of methane gas venting components suitable for all internal and external venting requirements. Components are usually available ex-stock and may be supplied singly or as a package to contractors wishing to install the system themselves. Butek Landline can advise on gas venting component selection and installation and can provide manufacturer inspection training and compliance certification for clients proposing their own installation of the ZR gas venting system. 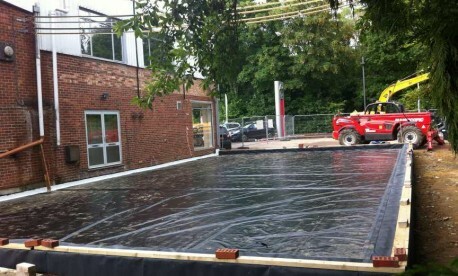 The company can supply pre-welded and tested gas membrane panels manufactured from Landflex ZR40, LLDPE and HDPE. 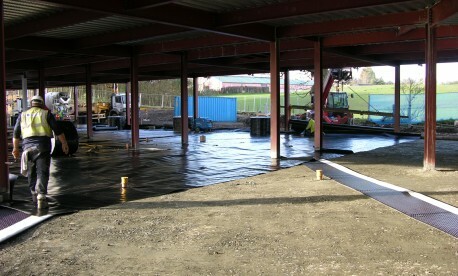 Panels can be sized to suit clients’ requirements and deliveries staged to meet construction programmes. 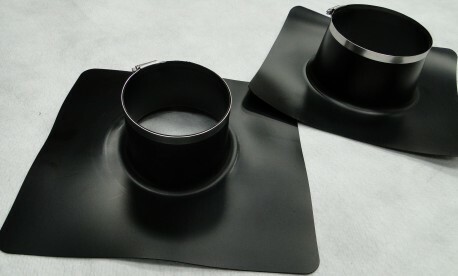 The company can offer an extensive range of self-installation accessories to accompany the pre-welded Landflex ZR gas membrane. 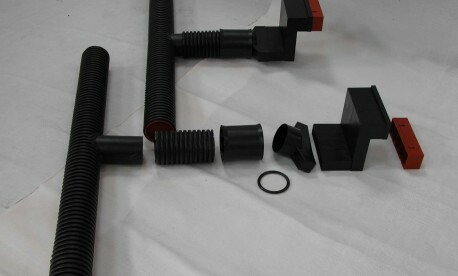 These enable straightforward sealing to pipe and service entries and connection to the DPC. 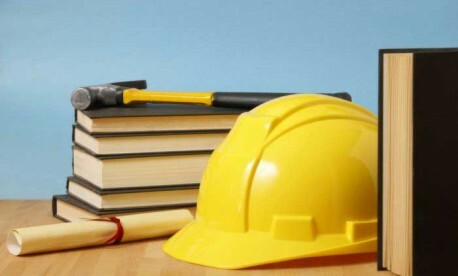 For housing developers placing phased development orders, the company offers an on-site training programme fully covering all installation methods and techniques. 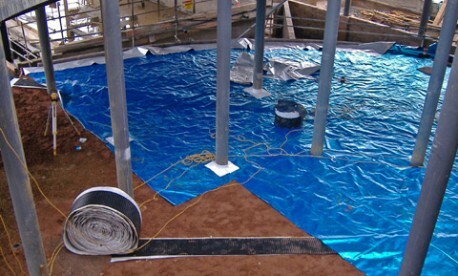 These include sub-base preparation, positioning of panels, attachment to the DPC, sealing to pipe entries and avoidance of membrane damage during overlay operations. 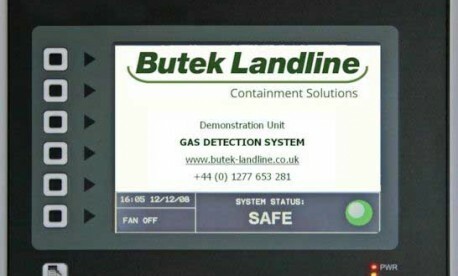 Butek Landline has designed a complete intelligent underfloor gas monitoring system for use in developments constructed on Brownfield sites, where there are high levels of gas and therefore a higher risk for ground gas ingress into the building. The system continuously samples air from up to 12 areas in the building and checks for concentrations of methane, carbon dioxide and VOCs. Negative pressure fans are activated if an unsafe level of gas is detected and once gas levels return to acceptable limits the monitoring system automatically switches off the fans. 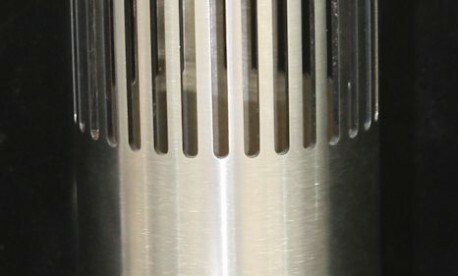 Fans can be designed to cycle for minimum energy consumption where required. A user-friendly control panel displays safety information for instant and easy to view status reports. In conjunction with a gas membrane and venting installation, this system offers a comprehensive gas protection solution including full survey, sensors, controls, alarms, installation, calibration, training and warranty. The system has been extensively specified in schools, hospitals, prisons and community centres as well as industrial and commercial premises.